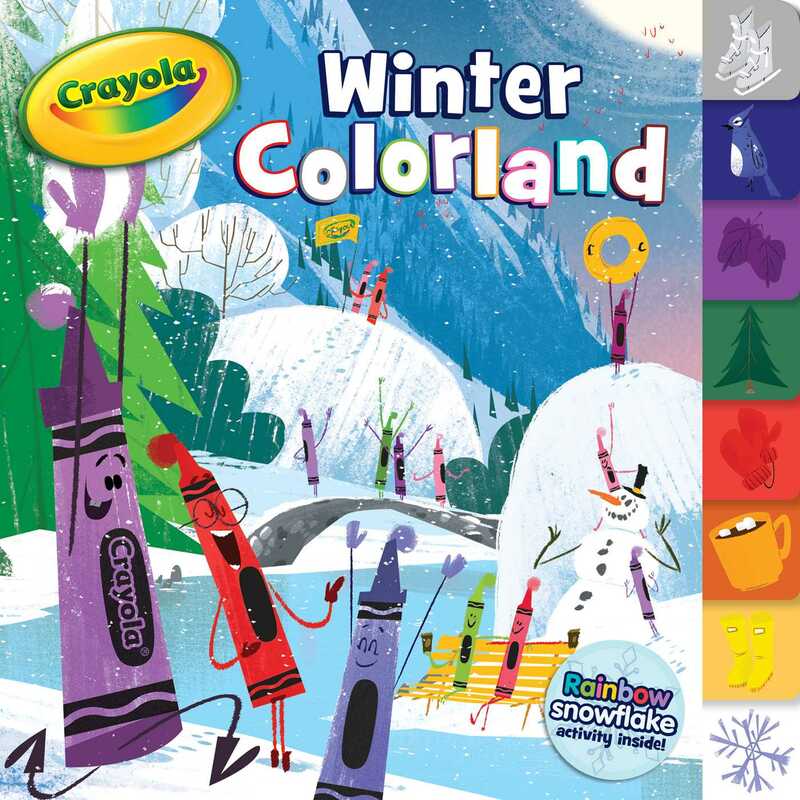 Discover all the beautiful colors of the season in this novelty tabbed board book from Crayola that puts a creative spin on the winter hues! Explore the colors of a perfect winter day! When you think of winter, do you think of the colors of the rainbow? Even when the world is covered in white snow, if you bundle up and take a stroll, you’ll see that there is color everywhere, from a snowman’s cornflower blue scarf, to a dandelion yellow sun, and more. It’s a winter colorland! Don’t miss the instructions on the last spread for how to create colorful paper snowflakes!